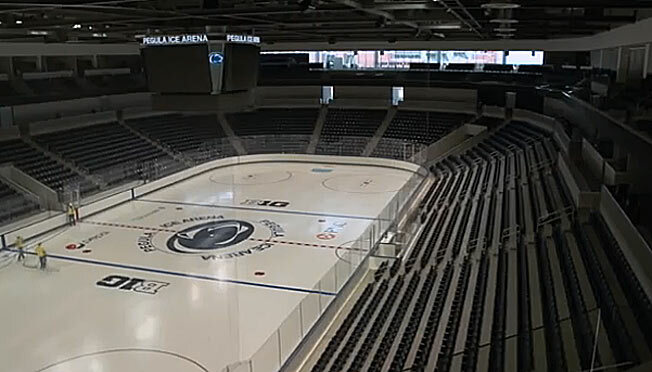 A gift from Buffalo Sabres owner Terry Pegula, the Nittany Lions' new home is fit for a Big 10 power. Battista is the Associate Athletic Director for Ice Arena and Hockey Operations at Penn State University, a mouthful of a job title befitting of someone who has played many roles in the school's winding road to NCAA recognition. He graduated from Penn State in 1983, having been the captain and officer of the school's club hockey program, a team known as the Icers. The Icers were part of the school's long, if fitful, association with hockey: Penn State had hosted games as early as 1909, and from 1940 to 1947 boasted a varsity side. In 1981, had the university made a push to field a DI squad by building the Greenberg Ice Pavilion. According to Battista, the rink was supposed to be a 4,500-seat facility that would have conferred DI-status on the team, but due to the economy and lack of fundraising at the time the project was downscaled to 1,300 seats. The failed bid marked one of what Battista refers to as the "close calls and near misses" that left varsity hockey just out of reach, decade after decade. 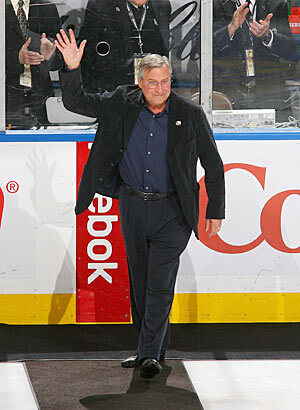 Terry Pegula made the largest donation in Penn State's history. The Nittany Lions' first season as a Division I independent was cause for celebration. 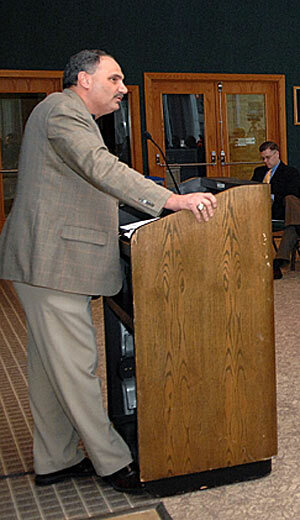 Associate AD Joe Battista sees much more work ahead.